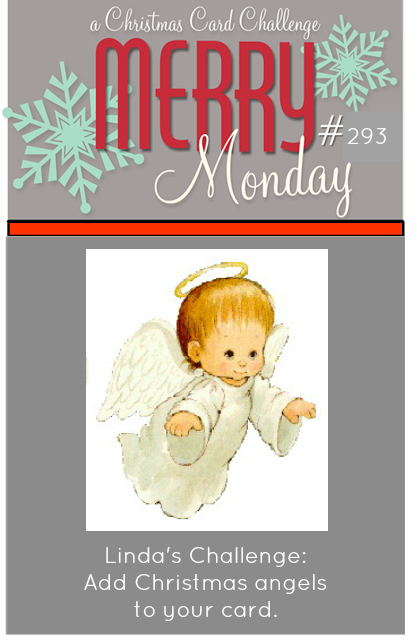 We have a new Merry Monday Christmas card challenge, Linda is our hostess and her challenge is to Add Christmas angels to your card. I found this pretty angel paper in my stash, I added a layer of grey cardstock and popped it up with foam tape. I did the same with the sentiment then added all to another patterned base. I finished with some gems. 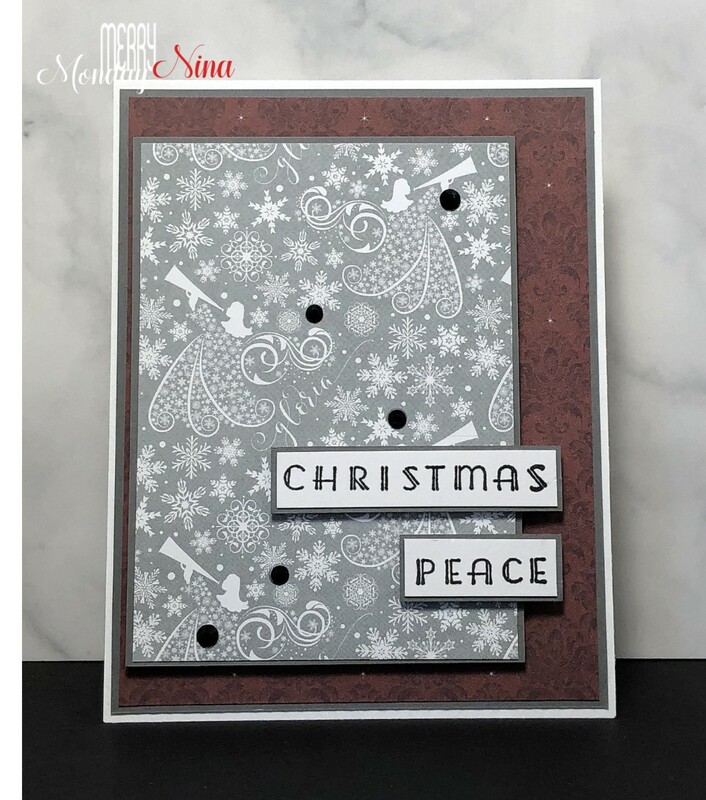 Supplies: White and grey cardstock, Designer Paper- PhotoPlay, Cornish Heritage Farms-Vintage Christmas Expressions. 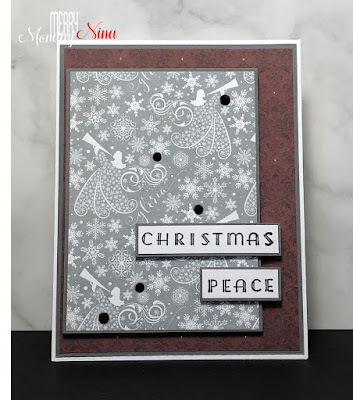 Gorgeous angel paper, Nina, and I love the brocade paper behind it too - so great how you paired them and layered everything with the silver!! Lovely card Nina. Hope you have a great week. Pretty paper with those angels. Love your card. Love your beautiful designer paper Nina, gorgeous Christmas card. Love that paper, and the angels look awesome, great card! Love the swirly images in the designer paper. So pretty!